Alibaba Group and Tsinghua University recently co-hosted the 2018 Observing China Forum in Beijing, bringing together top business executives, prominent academics and industry thought leaders to discuss contemporary China. Their focus? This year’s 11.11 Global Shopping Festival. This year was the event’s 10th anniversary. Besides hitting yet another record level of gross merchandise volume (RMB 213.5 billion, or US$30.8 billion), this year’s 11.11 also saw the most participation by Alibaba’s business units (29, almost the entire Alibaba ecosystem) and brands (180,000), as well as the highest-ever number of delivery orders (1.04 billion) through the Cainiao logistics network. Still, there is still plenty of growth to be had for 11.11, said Alibaba CEO Daniel Zhang at the forum. And Zhang said he means all kinds of growth, not just GMV. New consumer demand continues to be discovered, and tapped, through new business models. For example, Alibaba’s New Retail-powered supermarket, Hema (now called “Fresshippo”), has positioned itself to capitalize on growing demand for fresh food by offering 30-minute delivery. Bai Chongen, an economics professor at Tsinghua University, pointed to another trend that will continue to power 11.11 in the years ahead – fast-growing consumption in China, a component of gross domestic product that is outperforming the overall economy. E-commerce is uniquely positioned to benefit from this trend because it offers products from the world that the physical retail channel generally does not offer, Bai said. One key message from the forum was that 11.11 is about more than just sales. Consumer engagement is a key part of the Festival. Livestreaming has emerged as an interactive medium to present products on e-commerce platforms in China, a phenomenon Alibaba Group CEO Daniel Zhang referred to as “the new virtual shelf.” He explained that Chinese consumers prefer to ask influencers about product features during livestream sessions rather than reading product information on the website. International brands are actively leveraging livestreaming to engage with Chinese consumers. Taobao livestream host Weiya shared her experience working with over 300 brands such as P&G, Unilever and Estee Lauder, generating RMB 330 million in sales from her livestreaming sessions during this year’s 11.11. Executives at the forum agreed localization is key to long-term success for international companies operating in China. Matthew Price, president of Greater China Selling & Operations at P&G, shared the company’s strategy of developing products specifically for the China market. It has also made significant investment in its analytical capabilities to capture insights about Chinese consumers. These changes made it possible for P&G to reach RMB 1 billion in sales on Alibaba’s platform in only seven minutes during this year’s 11.11, Price said, compared with 19 hours in 2017. Price said the partnership with Alibaba prompted an entire rethink of P&G’s operations in China, not least the need to boost its digital capabilities. 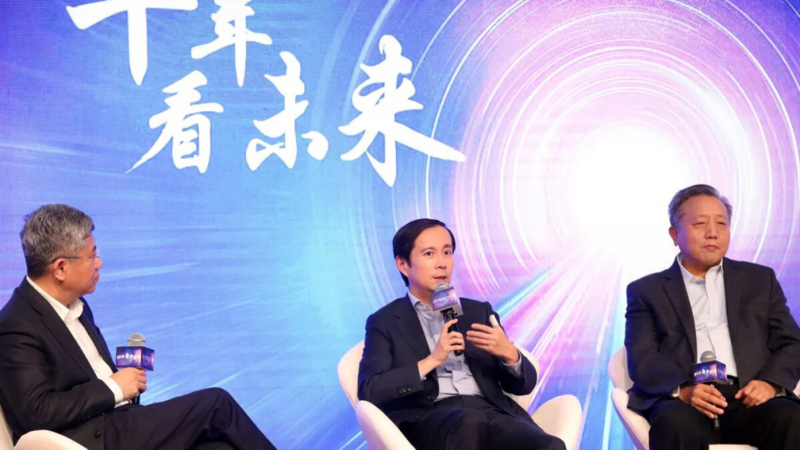 Prior to working with Alibaba, P&G thought of e-commerce as a separate channel for selling products, rather than one part of an integrated online-offline strategy to reach consumers, he said. Robin Murdoch, Accenture’s global managing director of software and platforms industry, named a few other strategies for international companies to consider for success in the China market, including targeting the fast-growing purchasing power of lower-tier cities and the prevalence of mobile payments. Zhang noted the growing influence of content on purchase decisions in China and called for more creative content on Chinese e-commerce platforms. Chinese social commerce platform Little Red Book (Xiaohongshu), in which Alibaba owns a minority stake, has enjoyed tremendous user growth from its unique content strategy. The platform posted an average 300% yearly growth rate in users since its founding in 2013, according to Ling Ding, general community manager at Little Red Book. Over 150 million community members have generated billions of blog posts about beauty, fashion, wellness and hobbies on the platform, Ding said. The platform has evolved into a community for people to showcase their knowledge in niche areas such as Lego building, calligraphy and even aviation history. Ding noted that Little Read Book does not form any commercial partnerships with celebrities on the platform to ensure the authenticity of their posts. “If the Little Red Book platform is a virtual city, the community members are building the city together with content as architect,” Ding said.